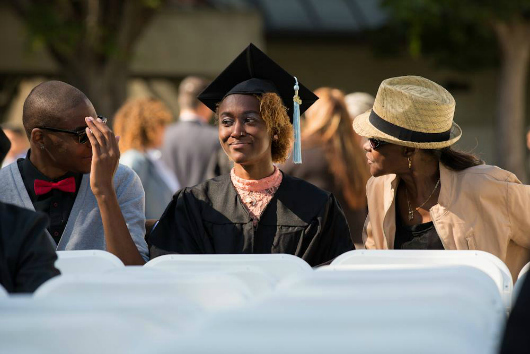 The African American Student Summit is part of SJSU’s efforts to to develop partnerships designed to promote student access and success (Stan Olszewski photo). 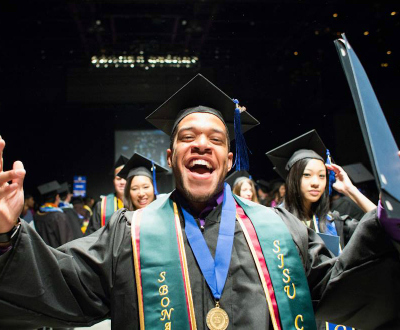 “It is exciting to welcome this many students to SJSU and be able to share my experiences,” said Danielle Miller, president of the SJSU Black Student Union and a planning committee member. Designed to show Bay Area students that a better future begins with college, the program is a unique partnership that includes the Division of Student Affairs, the Santa Clara County Alliance of Black Educators, the NAACP San Jose/Silicon Valley Branch, 100 Black Men of Silicon Valley, Silicon Valley Education Foundation and the California Alliance of African American Educators. Throughout their visit on campus, the students will be immersed in a hands-on college journey experience, from application to admission and later to their involvement in campus activities and organizations. The students will tour the campus and take part in college-like classes and career exploration. They will also hear about college life directly from SJSU students. With the aim of creating a college-going culture within the African American community, the day’s program is co-chaired by Associate Vice President for Student Affairs Art King and President of the Santa Clara County Alliance of Black Educators Leon Beauchman.